You don’t need to have an evergreen to have a Christmas tree. Shannon and the kids are so creative with what we have around us. They always remind me of our Creator God and how He takes things that seem to be pushed aside and makes them beautiful. 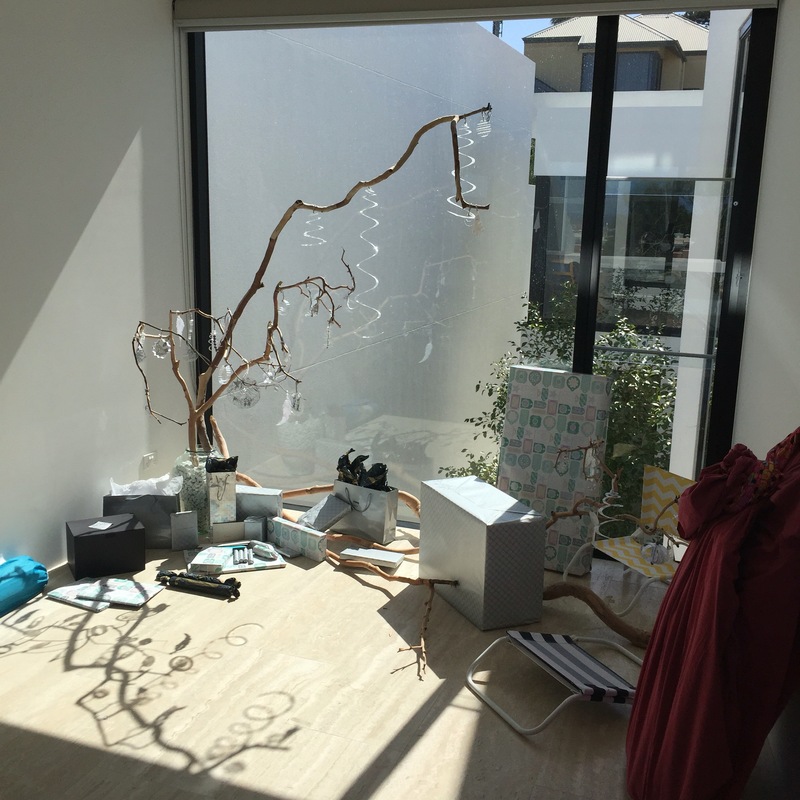 Branches found on the side of the road, paper, plastic bottles, glue and glitter all repurposed to decorate our place this week for Christmas. 2. When you need to you can make home made bisquick. It is hard to be away from family and friends and those things that are tradition for your family during the holiday season. So I knew I needed to have at least a little taste of normal. Sausage Balls have been a Christmas tradition in my family for as long as I can remember but you can’t find bisquick in Perth. 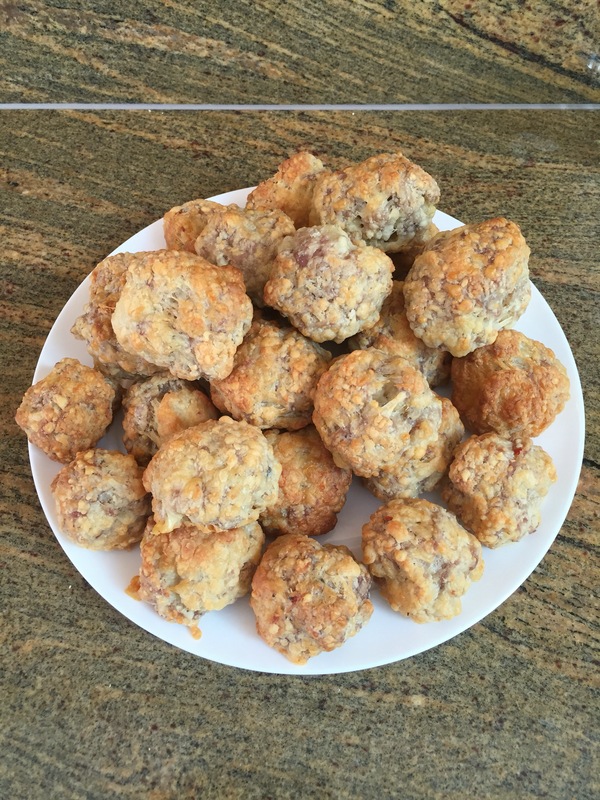 So the Internet helped with the recipe (really simple and should have known it) and we had sausage balls. 3. 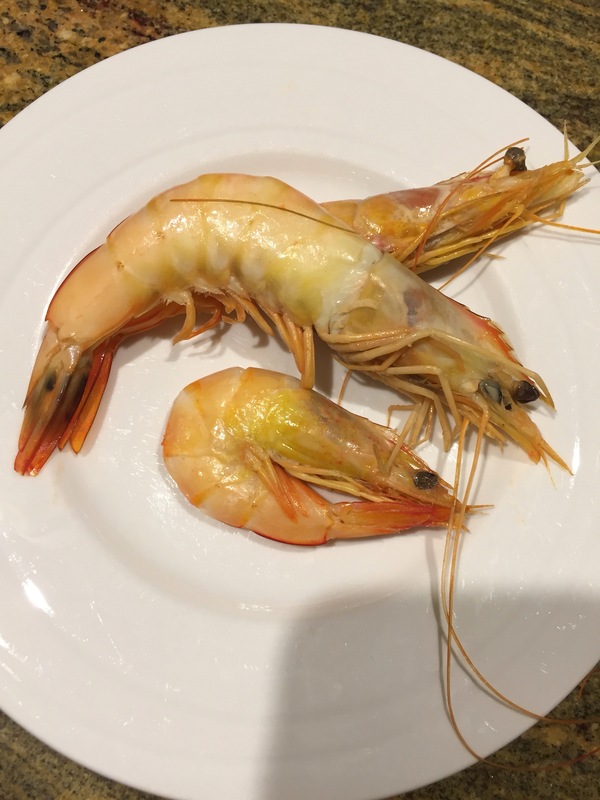 Prawns and seafood are traditional fare for Christmas in Australia. Prawns straight from the ocean that you see everyday are delicious but are a little more work and well worth it. 4. A Christmas Day visit to the beach is also an Aussie tradition. It was a little chilly and windy but that never stops our three littles from putting on their bathers and jumping in the water. 5. Every sunset is amazing here and it’s a good thing. God provides this amazing event everyday for us to witness. They give us joy even on the days that our transition seem hardest. They remind us of God’s mercy and His continuing work in this world. 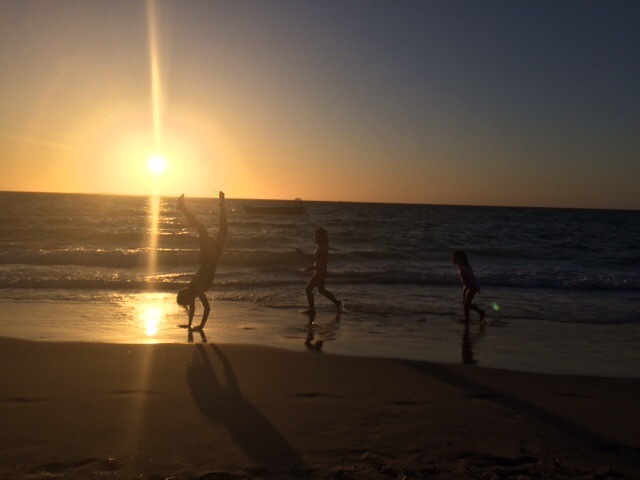 They remind us that God moves toward beauty at the end of a hard day. We are overjoyed to have them. Thinking of you, Hinkles. I love reading your posts. Thanks for sharing. Love you guys!!! I miss you Hinkles a LOT. Glad your celebration of the birth of Our Lord was a good one – and warm. Hot dog!